We're coming to a close, but it's certainly not over yet. On Day 27 we've managed to snag a video-conferencing ConferenceCam Connect from Logitech. Optimised for smaller groups, ConferenceCam Connect is a uniquely portable and versatile all-in-one video conferencing device for your huddle meetings. There's 1080p video and, of course, 360° audio. The competition winner will be picked at random from all eligible entries that arrive by midnight of the closing date, January 9, 2016. The winners will be notified via email by January 16, 2016. The winner must claim their prize within 7 days of the promoter sending notification. If the prize is unclaimed after this time, HEXUS reserves the right to offer the unclaimed prize to a substitute winner selected in accordance with these rules. 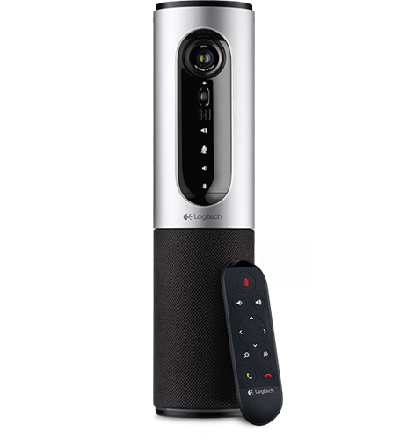 The prize is an Logitech ConferenceCam Connect. Nice,thanks to Hexus and logitech.gd luck to every1. What a cool prize, it seems to have alot of features and would also be good for a video podcast or for making video reviews. Good luck to everyone! :) Thankyou to Hexus/ARM for all these competitions! Thanks Hexus, this has been a hell of a give-away so far.